I actually started to gain weight even though I was eating “clean” and skipping out on family dinners and desserts to try and stay fit. It’s so EASY! I work full time and I never thought I could work 40+hours a week , have a social life and stay in shape. But working out 3x a week and being able to eat what I want and going out to dinners with my family make the whole lifestyle change so effortless. Switching to Reverse Pyramid Training I automatically started lifting weights I thought would take months to build to. Trying to hit 170 for 4-6 reps on incline after two lighter higher rep sets was impossible for me but I flipped it around and was able to hit 180 for 6 reps and still be able todo my other two sets ! The strength gains are automatic! I’m no longer tied down by the Kitchen or the countless hours in the gym and running trails , I’m effortlessly getting leaner while enjoying my life . Trust the process , my first week of Intermittent fasting I was upset I didn’t lose 5lbs in one week but I stuck to it and eventually lost 3.5 Inches off my waist in 3 Weeks ! Get ready to keep your stomach completely satisfied , and leaning out quickly! Buy POP Chips! 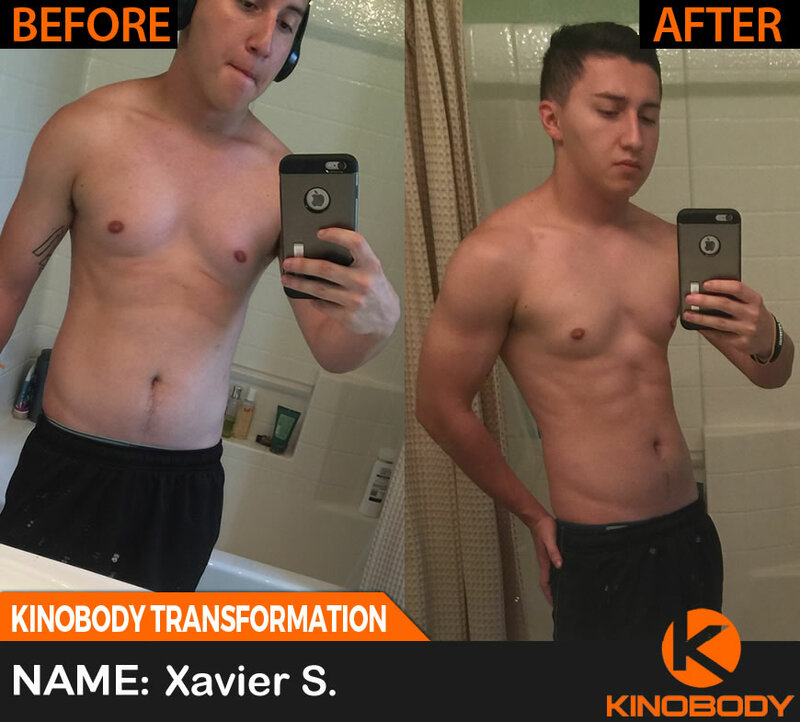 Click Here to read more about the Aggressive Fat Loss Program that Xavier used to achieve such dramatic results. I am around the similar measurements of your’ s but, slightly smaller. So I take this as inspiration for me!